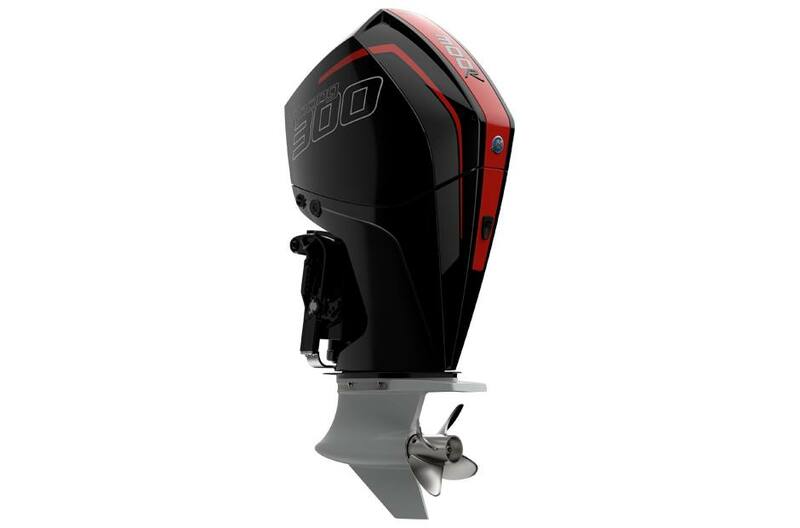 The 300R FourStroke is the highest performing engine in its class. The naturally aspirated 4.6L V-8 provides an astounding 44% in increased displacement and up to 40% higher overall bottom end torque than the legacy two-stroke 300XS it replaces. Custom Racing intake cam profiles and short intake manifold runners maximize power throughout the rated speed range. An integrated oil cooler keeps oil temps down throughout the Racing exclusive 5800-6400 rpm operating range. Transient spark calibration boosts torque by 7% for unmatched acceleration. Advanced Range Optimization automatically adjusts fuel delivery for up to 10% improvement in cruise-speed fuel efficiency. All of this on 87-octane (90 RON) pump fuel while maintaining a comparable weight as it’s legacy two-stroke cousin. Best of all, the 300R is backed by a three-year factory warranty. Maximized Power: Racing exclusive intake cam profile and short intake manifold runners for maximized power throughout the rpm band. Integrated Oil Cooler: An integrated oil cooler keeps oil temps down throughout the 300R's higher 5800-6400 RPM operating range. Race Proven Durability: Heavy duty midsection models come with solid mounts and an ultra robust, forged transom brackets with single ram power trim and remote trim pump designed to endure the harsh offshore environment. Integrated Rear Tie-Bar: Factory rear tie-bar models are available for enhanced stability on high speed multiple engine catamaran and offshore center console applications. An optional side steering bracket kit is also available. Sport Master Gearcase: The surface piercing Sport Master gearcase, designed for boats capable of speeds in excess of 85 mph, features low water pick-ups and a crescent leading-edge for maximized efficiency and speed. Shaft Length: L - 20"